The Cold War was rife with espionage, political underhandedness, and secrecy by intelligence agencies across the globe. But what if there was a far more sinister group at work behind the scenes, destabilizing countries and threatening to unleash war across the world? Such is the setup for Phantom Doctrine, an alternate history turn-based strategy game from the makers of Hard West. 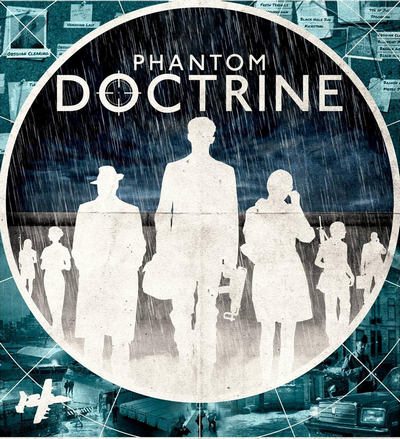 Initially seeming like a James Bond-meets-XCOM mashup, from the demo I got my hands on at PAX West, Phantom Doctrine is aiming for much, much more than that. It’s also got a mystifying trailer out now, so check that out when you can. 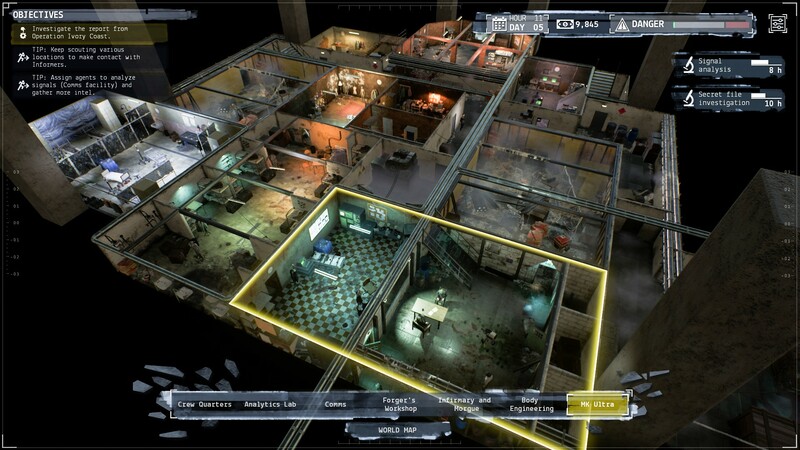 As I said before, the first glimpse of Phantom Doctrine makes it seem like nothing more than an XCOM clone. There’s the half-cover/full-cover symbols near walls, the isometric viewpoint, different roles for different team members, and yet, it all seems very new. The team at CreativeForge is aiming for a sense of realism found in John Le Carre’s works, rather than the “super spy” found in Ian Fleming’s. Firing a gun at someone usually means a kill, if not a serious wound, there’s coordinated breach actions, extensive use of stealth, and entirely expendable team members. All this sets the stage for an intense spy thriller. After leaving your post as a KGB or CIA agent during the height of the Cold War, you join the Cabal, a multinational organization aimed at taking down whomever has been manipulating the world for their own means. There’s a sense of shrouded mystery surrounding the plot, and CreativeForge didn’t give up many details around who exactly you’d be up against, just that they’d be better armed, have more intelligence, and flush with cash. The demo shown off at PAX West involves a team of three Cabal operatives sneaking into a compound in an attempt to steal the “Ivory Coast” files, named after a real US Intelligence operation during the Vietnam war. Along the way, the squad is tasked with disabling alarms, cameras, laser grids, and, after eventually drawing the attention of the organization, booking it after some helicopters come looking for a fight. One important thing to note: Phantom Doctrine tasks you with upgrading your agents, as well as mentally breaking the enemy’s. During missions, you can capture agents you encounter, giving you control over their fate. Sure, you can always kill them, which is the most cost and time-efficient method, but you can also turn them into sleeper agents, Manchurian Candidate-style. Brainwashing, information extraction, all these actions can be performed on your own agents as well. If you leave behind your operatives, they will inevitably find their way back to your compound, though perhaps not in the same condition they left in. Again, it’s still early in development, but CreativeForge doesn’t want players to get attached to their spies, and every system shown off during the demo reinforces this. 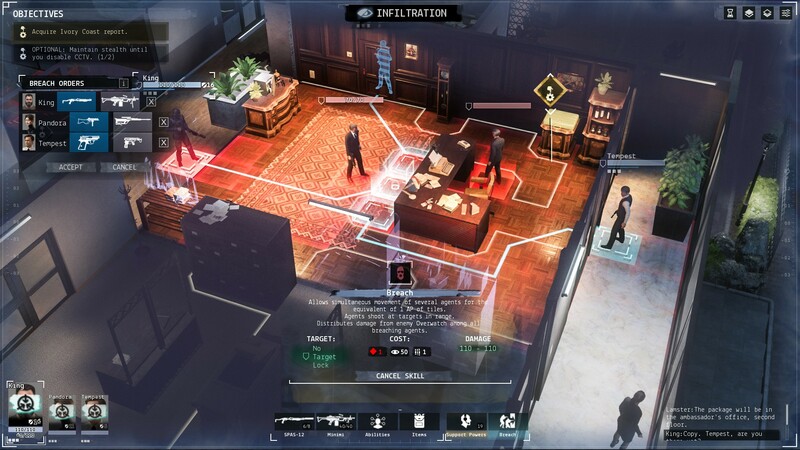 If the earlier mission description wasn’t enough, Phantom Doctrine will focus more on counterintelligence and espionage rather than actual combat. Sure, you can outfit and kit your operatives how you see fit, but the main success in the demo came from an agent that was masquerading as an office worker. CreativeForge did say that you could just turn every mission into a shootout, but you’re going to find more success thinking creatively and solving puzzles posed by guards. There’s also quite a bit to do outside of missions, too. 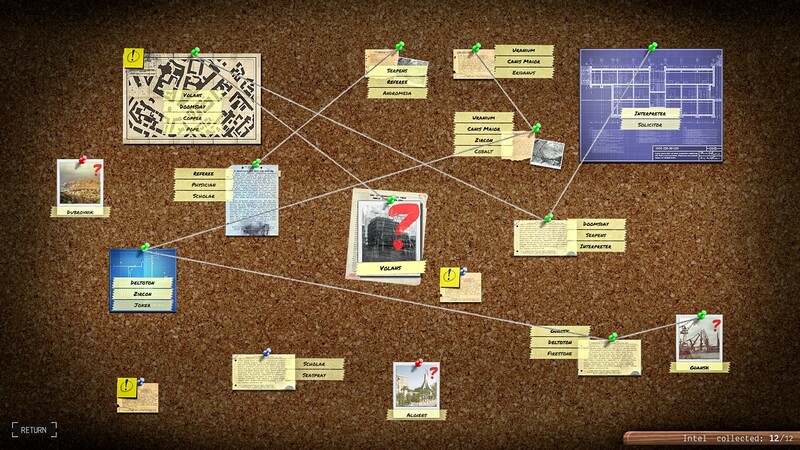 Much like the real Operation Ivory Coast, the intel gathered in the demo mission isn’t immediately helpful, but you can still attempt to draw lines between events, ideas, and people on a cork board, much like in police procedurals seen on television. It adds to the already impressive atmosphere of Phantom Doctrine, and was a standout element from the demo. CreativeForge just might have struck creative gold with Phantom Doctrine. With its enrapturing setting plus a solid gameplay foundation, there’s little to suggest Phantom Doctrine won’t be anything but as every bit engaging as its tactical roots.